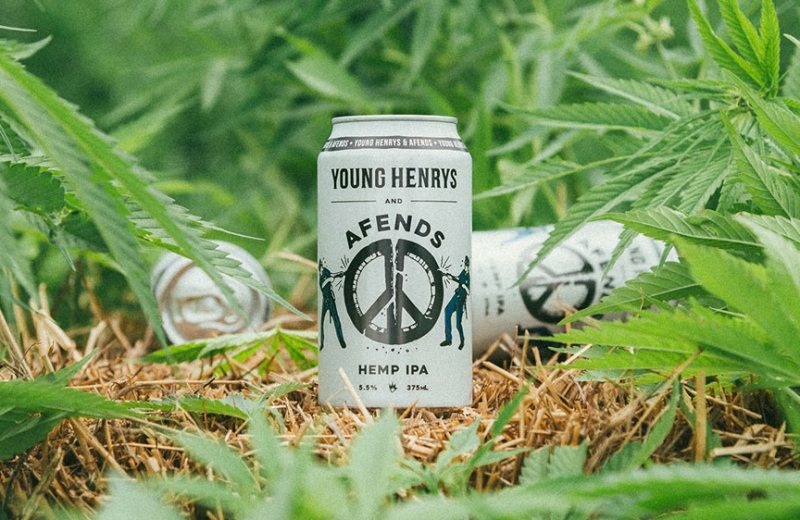 Another hemp-based brew is hitting Australian shelves, Young Henrys and Afends Hemp IPA. It appears launching the beer hasn’t been an easy task given Australia’s strict laws on all things cannabis related. It was only relatively recently that a ban on hemp seed foods ended and there are a number of rules on how these products can be marketed. For example, no part of the hemp plant can be featured on the packaging of products aside from the seed. Apparently, a couple of proposed labels were knocked back by regulators, so the pair decided to use a pair of “fun police” pulling apart a peace symbol for imagery. By hemp oil, the brewers means hemp seed oil, rather than oil extracted from the leaves or flowers of the plant (which would be illegal). A water soluble hemp seed oil was developed specifically for the product. No doubt the beer will attract a lot of attention from the curious and beer connoisseurs alike, but racking up sales isn’t the only goal of the product. Hemp IPA will be available on tap and in cans from selected venues and retailers starting today – initially in SA, Victoria, ACT, NSW and Queensland. Hemp IPA isn’t the first hemp based beer to be produced in Australia since the ban was lifted. Others include Dr Weedy’s Hemp Ale and Doss Blockos Hempire Hemp Ale. Beverages of this nature are also taking off across the world as beer drinkers look for something a little different and become more adventurous. US FDA Urged To Begin Updating Hemp Regulations – Like, Now.